What Are the Important Considerations When Buying A Laser Projector For Your Church? Every church needs to have a projector so that they can show presentations to the staff during meetings, to the council, and to the congregation. No matter if you are going to be presenting the latest worship graphics, the annual budget, or on the latest youth trip, it’s important to choose a projector that is not only powerful but also easy to use, as this will ensure that everyone in the congregation can easily use it, if necessary. Because there are so many different projectors on the market, it is understandably difficult to find the right one for your church, but a powerful laser projector is usually a good choice. 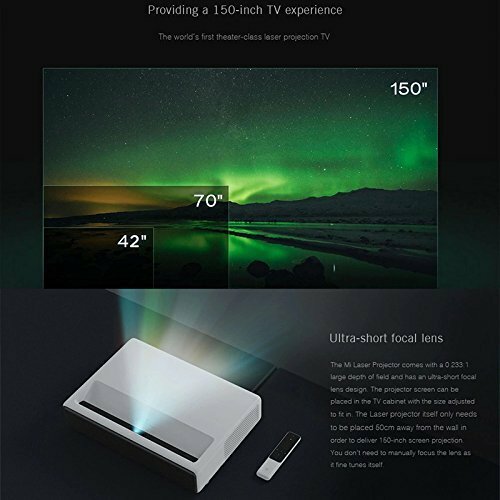 While there are a lot of great laser projectors out there, the best is the Xiaomi Ultra Short 5000. 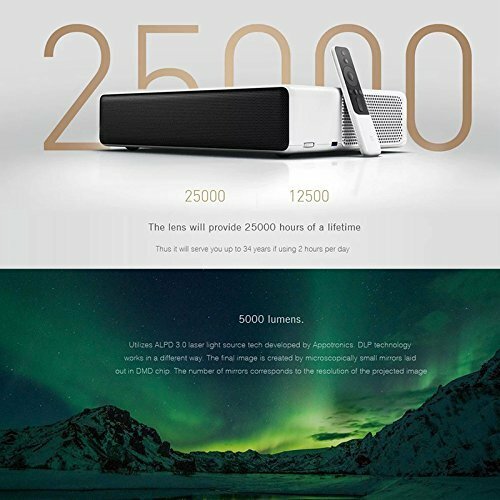 If you are in charge of purchasing new equipment for your church or are researching laser projectors so that you can find the right one for your team to buy, then you will want to consider the Xiaomi Ultra Short 5000. There’s a lot to love about this laser projector, and when you take the time to read this guide you are sure to understand all of the benefits that this powerful laser projector has to offer. Knowing what to look for when shopping for a laser projector will help you find the best one for your needs. Make sure that you consider the following when looking at available options. Brightness – measure in lumens, this tells how bright a projector will be from a distance. You must make sure to choose a projector that has a high lumens rating in color and white brightness so that you can easily see presentations and videos in light and in darker rooms. Resolution – the resolution that a projector has tells how many pixels it can create and refers to how crisp and detailed the projected image will be. Projectors with higher resolutions will be able to project sharp images that are easy to see and enjoy. Contrast Ratio – this refers to how much difference there is between light and dark pictures on the screen. High contrast ratios will allow you to enjoy shadows and definitions that are clearly defined, which make the picture look much more realistic and provide depth. Wireless Connection – all projectors have to connect to your equipment somehow, and wireless projectors make this easy. If you opt for a wireless connection, then you don’t have to worry about having a lot of wires running around your room and floor. The Xiaomi Ultra Short 5000 is designed to provide an incredible experience, no matter if you are watching TV, videos, or enjoying a presentation. 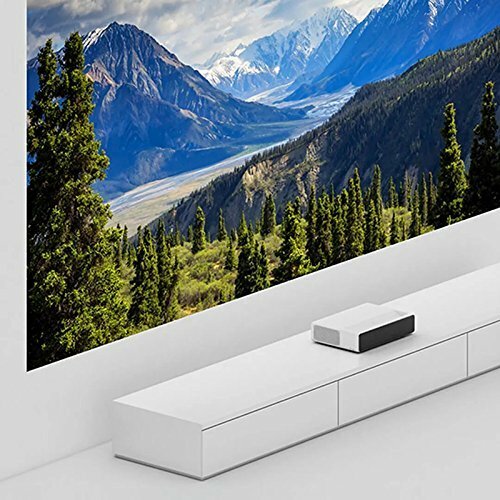 Thanks to the impressive 0.223:1 depth of field and focal lens, it’s easy to put this projector 50 cm from the wall and enjoy a 150” screen projection. The lens fine tunes itself so that the picture isn’t very blurry or out of focus. Thanks to impressive laser light source technology, the Xiaomi Ultra Short 5000 relies on microscopic mirrors to produce the projected image. This results in one of the crispest and most professional images available. The included remote is small but powerful, enough to easily control the Xiaomi Ultra Short 5000, making it easy to talk through a presentation without having to worry about controlling a computer. Additionally, because this laser projector is smart enough to auto-tune itself, users can rest easy knowing that their presentation or movie will look great. It’s easy to adjust the size of the projected image, making this laser projector easy to use in any size room. Because the image will be clear and crisp no matter how large or small it is, users never have to worry about moving to a new location for a presentation or a movie, which is ideal as the Xiaomi Ultra Short 5000 is a little heavy. 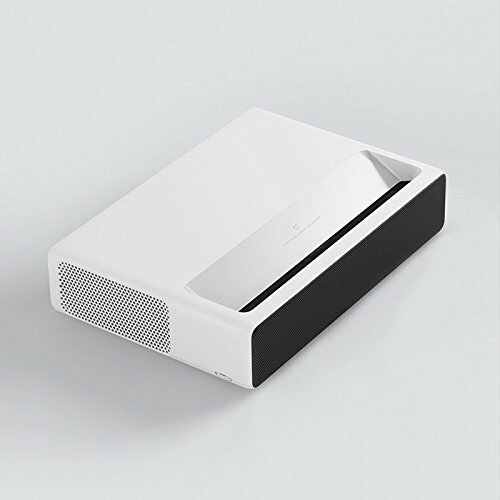 The Xiaomi Ultra Short 5000 is a powerful laser projector and is packed with great features, although it does have a few drawbacks. One of the things you’ll love about this laser projector is that it is able to produce up to 5000 lumens of brightness, as well as a great contrast ratio, resulting in impressive color reproduction and high definition. This laser projector also has a durable lens that will last for 25,000 hours of use before needing to be replaced. This means that you can use this projector for two hours a day and it will last for 34 years. The 1920 x 1200 Full HD resolution results in incredibly crisp and sharp images. This is perfect both for budget meetings and to show photographs of work and projects around the church. Another pro of the Xiaomi Ultra Short 5000 is that it features powerful built-in speakers. 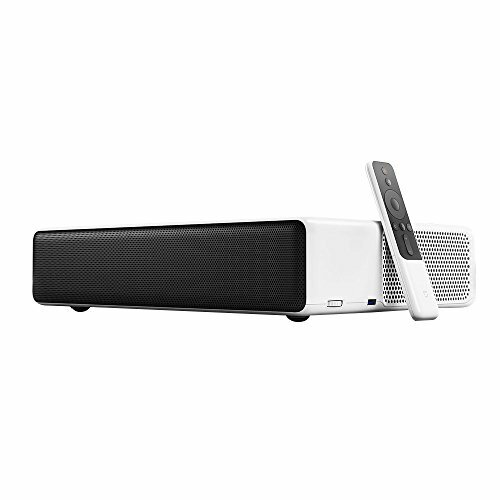 While you can certainly use external speakers, this means that you don’t have to, which makes presentations easy. Unfortunately, the Xiaomi Ultra Short 5000 is quite heavy, at over 15 pounds. This makes it a little tricky to move from space to space. 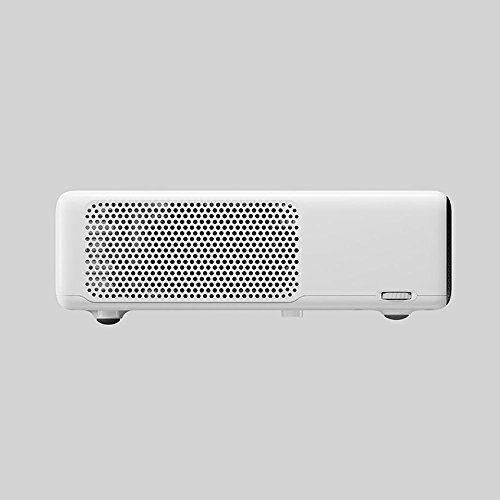 Additionally, this laser projector is louder than other similar models, which can be a distraction for some people when watching a presentation. There is a lot to love about the Xiaomi Ultra Short 5000. If you are in the market for a laser projector because you already know that they are powerful, offer a wide color range, and are incredibly energy efficient, then you will want to consider this laser projector. It’s powerful enough for use at most churches and is designed to be perfectly suited to small meetings, as well as for use in larger presentations or services. Thanks to how easy it is to set up, the Xiaomi Ultra Short 5000 is sure to be a favorite among everyone on the staff. Not only is the Xiaomi Ultra Short 5000 powerful and easy to use, but its sleek design and durable chassis prevent it from being damaged. Even if it is hit or dropped, the protection that the chassis offers is incredible. 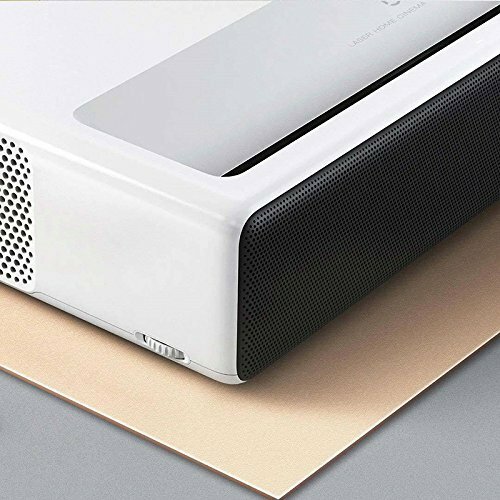 This means that this laser projector can easily stand up to regular use without showing signs of wear and tear and without failing during a presentation. While it does come with a high price tag, it is loaded with incredible features that make it an obvious choice for any church who is in the market for a powerful and reliable laser projector.